The Fillmore Center is a vast community with 1,100 apartments covering three city blocks with an undoubtedly authentic San Francisco vibe. Walk in one direction and your are in the heart of Pacific Heights' high-end shopping and dining. Head the other way and you'll stumble upon Japantown or The Painted Ladies lining Alamo Square Park. Hop in an Uber and the bars and nightlife of The Castro are a few bucks away. The Fillmore Center is an incredible jumping off point for those new to San Francisco and eager to take this culturally connected city by storm. 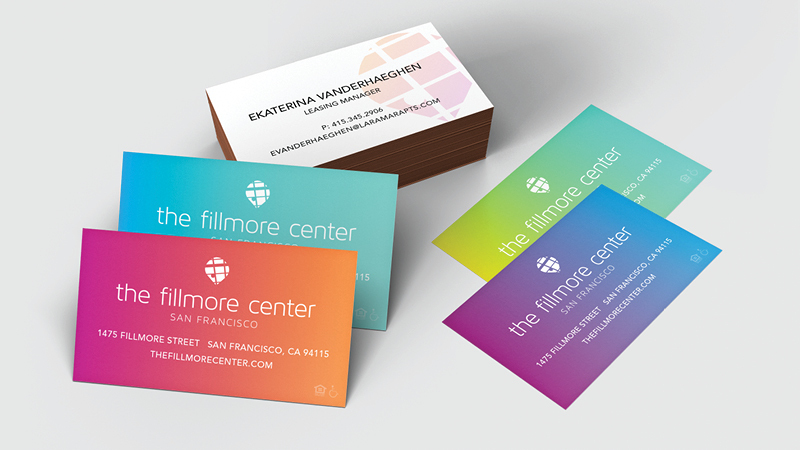 The rebranding of The Fillmore Center places the community's physical location and the diversity of San Francisco at the forefront of the identity. The main symbol is a stylized map marker that supports the "You Are Here" tagline and the vibrant color palette and gradients convey the energy and diversity of San Francisco to their under 35 demographic without being contrived. 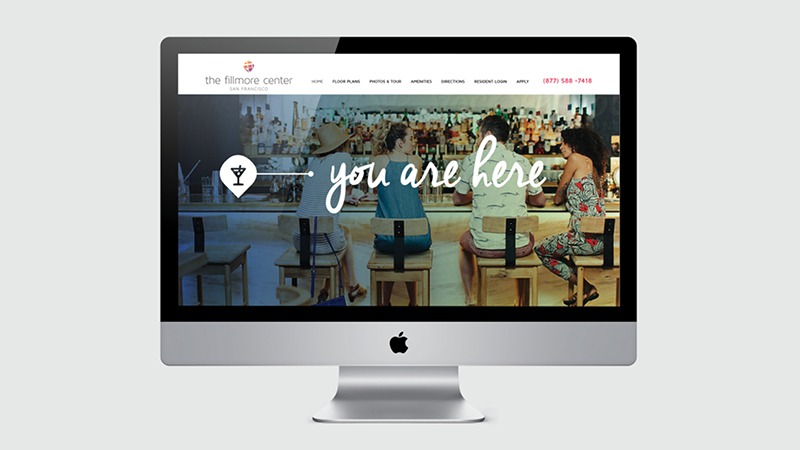 The typography is clean and contemporary to support the massively modern renovations underway at The Fillmore Center.